The recent acquittal of George Zimmerman, the Florida man who admitted to killing 17-year-old Trayvon Martin in early 2012, has stirred up a lot of emotions around the nation regarding issues of race, the power of perceptions, and the value of human life. Earlier this month, UCSC students took to the streets in a show of solidarity to protest what many considered a grave injustice. Even President Obama has weighed in to address the profound psychological impact of this case, especially among Black Americans. It has been argued that racism strongly influenced both the targeting of Trayvon Martin and the acquittal of George Zimmerman. Since July is Minority Mental Health Month, I would like to acknowledge the impact that experiences of racism have on the mental health of people of color. July 24, 2013 by Maya Borgueta, Psy.D. Check out this PSA from OK2Talk.org, an organization dedicated to creating a safe, destigmatized space for teens and young adults to get information and support about mental illness. July 19, 2013 by Maya Borgueta, Psy.D. Are you an incoming first-year student looking to get a head start on getting involved on campus? 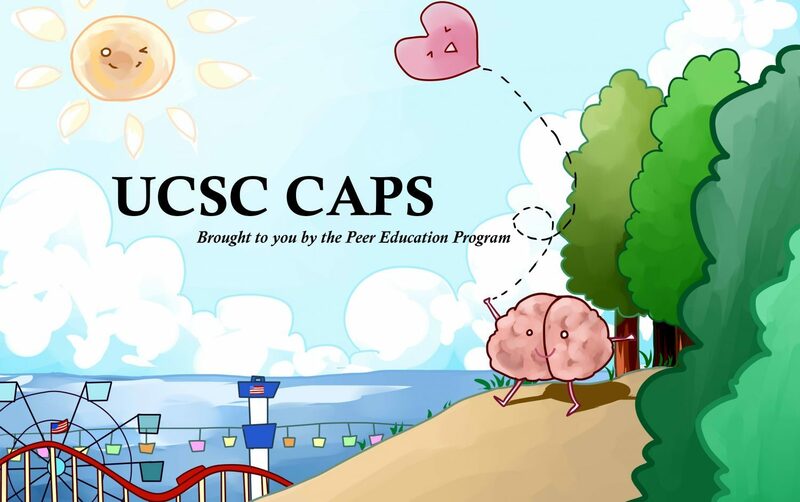 Or a graduate student interested in sharing your experiences to help improve CAPS and the UCSC community? July 17, 2013 by Maya Borgueta, Psy.D. Summer at UCSC is a relatively quiet time of year for most of the CAPS staff. Most days, at my office at Porter College, I see more deer than I do people. Without the usual crowds of students around, whole families of them come out to snack on the lawn. We’re not doing as much counseling these days, but everyone’s been keeping busy with projects getting things ready for school to start up again in Fall. One of my big projects for the summer is to get the CAPS blog started, and I’m excited for today’s very first post! Since our staff started meeting with our Student Advisory Board last Winter, one of the biggest recommendations we’ve received is the importance of connecting with students and other members of the UCSC community through social media. Since then, we’ve started a CAPS Facebook Page (85 followers and counting! woo!) This blog is the next step in building our web presence.